It took me 2 years before I ordered a Life Planner of my own (let’s be honest, they’re expensive!). I was uncomfortable shelling out $50 for the planner and then another $45 for shipping (I live in Europe at the moment, shipping is a killer!). So how did I get the cost down enough to feel comfortable ordering a Life Planner? I admit I unashamedly asked for EC gift certificates for my birthday and “saved up” for one that way. I used a promo code to save $10 on my first order. You can use my referral link to save $10 on your first order too: Click here, this will take you to the Erin Condren website to create your own account and at the same time you will save $10 off your first purchase! I waited until the summer to order because starting in July of each year you can get the Life Planner with 18 months (the rest of the year plus the following year) for just $5 extra. It’s like getting half of a planner for free. I waited until there was a promo code for free shipping (it ended up not being totally free shipping for me because I live abroad, but it would have been free for anyone living in the States). On a teacher’s budget, I was skeptical of shelling out my hard earned money for such an expensive planner. 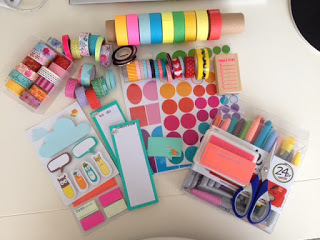 But using all of those money saving strategies helped me order my very first Erin Condren Life Planner. Have you used an Erin Condren Life Planner? What is your opinion? I’d love to know what you think in the comments section below! I ordered the Watercolor Shine planner, which is gorgeous! Click here, this will take you to the Erin Condren website to create your own account and at the same time you will save $10 off your first purchase! 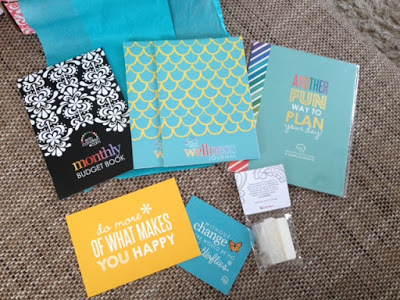 As add ons I ordered the Monthly Budget Book, Wellness Journal, Coil Clip Connectors, Sticker Book and Customizable Event Stickers. 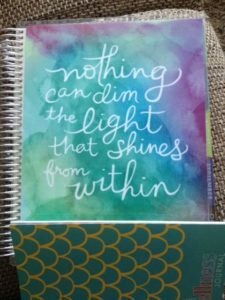 Why the Erin Condren Life Planner? It has a few features that I liked– monthly and weekly spreads, goals sheets, notes sections, color coordinating stickers and each day is separated into 3 sections. My goal with my planner is to help me stay organized as a teacher, wife and business owner. I really like that the EC planner has each day separated into 3 sections (they used to be labeled as “morning, afternoon, evening,” but thankfully they’ve taken the labels off). I will be able to use each of the 3 daily sections for different aspects of my life, such as “personal, wellness, business” for example. I’m still trying to figure out how my planner will work best for me. I’d show you what my weekly spread looks like, but it’s embarrassingly unimpressively decorated at the moment, so that will have to wait. Watch this space for when I have my system down and am willing to share some pictures. Thankfully there are sooooo many YouTube videos and blog posts dedicated to decorating EC planners which is giving me a lot of great ideas! Until then, head over to Erin Condren and check out for yourself if these planners are something that could work for you. And if you want to, use my referral link (click here) to get $10 off your first purchase too!